Beaver Creek Resort Rentals is located within the Family owned and operated Beaver Creek Resort. Beaver Creek Resort is just five miles southwest of downtown Gaylord, Michigan (the Alpine Village). 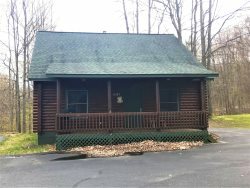 The resort is situated between Otsego Lake on the east and acres of state forest on the west. 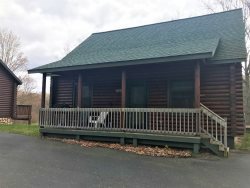 Our Modern Log Cabin style Condominiums are within the resort boundaries with units on the Natural Golf course and others bordered by beautiful northern Michigan hardwoods. Beaver Creek Resort Rentals is the perfect year round place for couples to escape for a romantic weekend getaway, to take the family on an exciting vacation, or group outings for golf, snowmobiling, fishing, leaf peeping, canoeing or just lounging around and enjoying all northern Michigan has to offer. 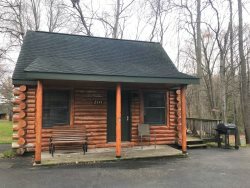 Choose one of our small cabins, with wooded lots or medium cabin located lake side or on a wooded lot, each sleeping 4 comfortably. Have a bigger group? Then choose a spacious 2 bedroom one bath model or select a 3 bedroom 2 bath deluxe both sleeps 8 to 10 in comfort with beautiful vistas of the Natural Golf Course. Because of Beaver Creek Resort Rentals central locations you are a short scenic drive from Northern Lower Michigan's many varied treasures. Just an hour to Mackinaw City, Traverse City, Harbor Springs and the tunnel of trees, a breath taking ride along Lake Michigan through a mature northern forest. Less than an hour’s drive will take you to casinos, several canoe liveries and some of the best outdoor recreational activities in Michigan. Ten minutes from your door, the city of Gaylord offers, fine dinning in over 40 restaurants, exciting nightlife, great shopping with dozens of specialty shops plus it has the national chains such as Wal-Mart, Kmart, Kohl's, Old Navy, Home Depot, and many more. The city itself is done in a Bavarian theme and offers many events including Alpenfest and the number 1 rated county fair in northern Michigan. Gaylord also has a cinema with six screens, The Historic CALL OF THE WILD a wild life museum and the largest Elk herd this side of the Mississippi with close up viewing of these majestic creatures.